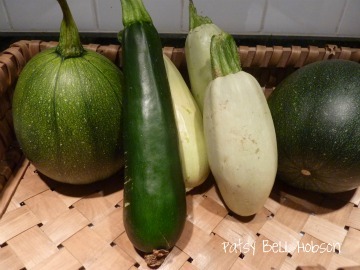 Three kinds of zucchini – I know – what was I thinking? At last, I picked cucumbers today, three long, thin-skinned English cucumbers. They are my favorites English Cucumber, “Chelsea Prize”, which is an exclusive from Renee’s Garden Seed. Cucumber season is never long enough. 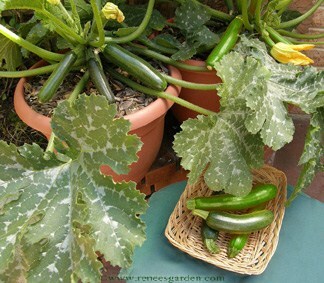 When the little cucumbers finally arrive in a couple of weeks, I’ll make a few pickles. 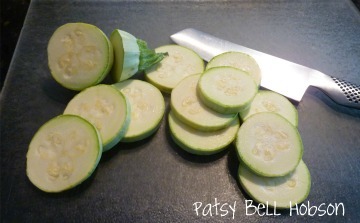 But, these slender, sweet fleshed Chelsea Prize cukes are best for fresh eating. Visit Zucchini Everything on Pinterest or try this simple cake to use up a big zucchini. One recipe makes three cakes zucchini, carrot or apple Yes, the recipe really calls for 4 cups of zucchini (! ), carrots, or apples. It is a beautiful cake with flecks of both zucchini and carrots. 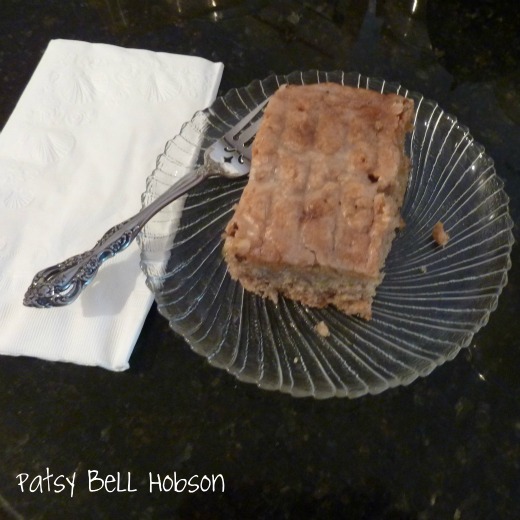 While I have plenty of zucchini and carrots, I’ll make a couple of these cakes to freeze. Red and white onions, hard neck garlic, two varieties of zucchini, Chinese cabbage. Napa or Nappa cabbage (Brassica rapa subsp. pekinensis or Brassica rapa Pekinensis Group) is a type of Chinese cabbage. In the kitchen, cabbage becomes Kim Chi, slaw, stir-fries and Chinese chicken salad. I pulled up the garlic today. It is probably half the harvest of last year and the bulbs are a lot smaller. My guess is that the garlic bulbs just didn’t get enough water. It is Chesnok Red Hardneck Garlic. Chesnok Red is the best baking garlic. Not a hot garlic, Chesnok is easy peel and will keep for about 6 months. To stretch the harvest, I roast garlic and freeze it in little cubes. Also, I pickle small jars of peeled bulbs to use later in the year. The big bonus to growing your own garlic, is that I have plenty of garlic on hand for salsa, spaghetti sauce, dill pickles, soup and pesto. Be prepared for the summer squash explosion. My Pinterest has amazing zucchini recipes. Find the best zucchini cake recipe on Zucchini Everything at Pinterest. And you have to try the Zuni Cafe zucchini pickles. I’m growing three different kinds of zucchini. Before you ask why, let me just say I love zucchini. To me, it would be like growing only one kind of tomato. As production picks up, I get creative. Chocolate zucchini cake is a favorite. Details and the recipe are on my Hub Pages. Soon, there will be days when I wonder why I planted so much. What was I thinking? Well, it’s a test. Which is the best, the earliest, most squash bug resistant, is attractive, has the longest shelf life and, most important: best tasting. Zucchini belongs to the species Cucurbita pepo. The yellow variety is slightly sweeter. The round, “Eight Ball” or “Ronde de Nice” are bred for stuffing. Clarimore is a pale green and slightly speckled. It has an almost creamy texture. Like most summer squash, no need to peel these fresh, young vegetables. Dark green (almost black) Raven and Golden Dawn yellow zucchini and are the long, straight varieties we most often see when we think of zucchini. Pick zucchini at it’s best, 6″ to 8″ long. I like Green Tiger, a European hybrid is named for its light-colored stripes. 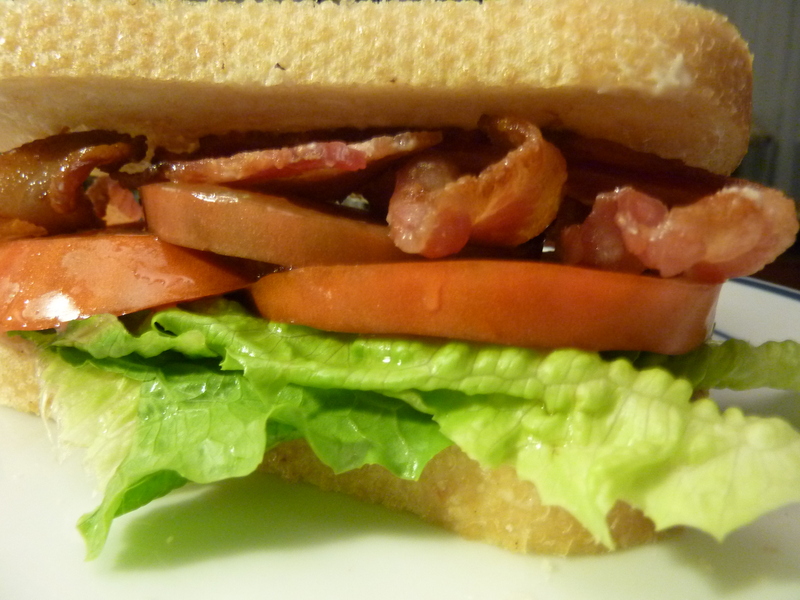 It has a mild and sweet flavor with a tender crunch. Green Tigers slightly nutty flavor is good cooked or raw in recipes. Not as straight and cylindrical as other zucchini and is best when served small. Raven zucchini. 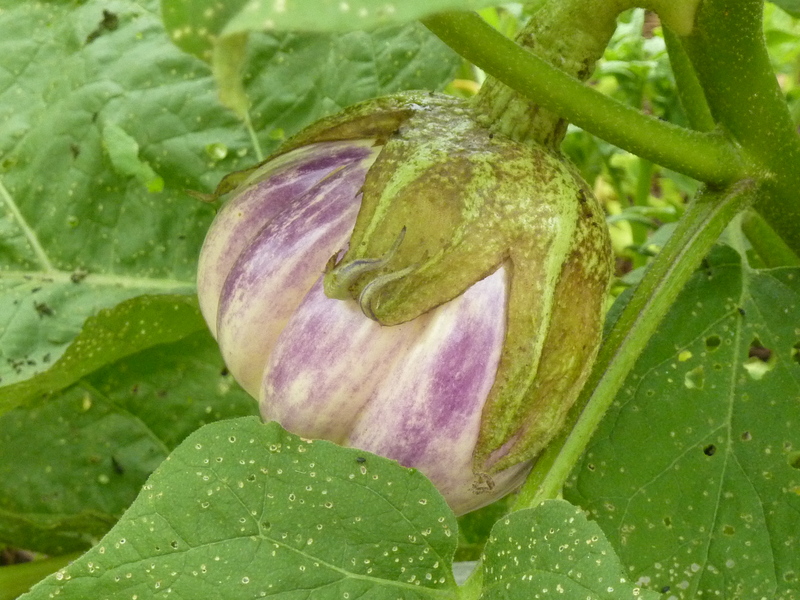 Zukes are sometimes sold in farmers markets with the blossom still attached to baby zucchini. for stuffed zucchini blossoms. Pick them in the early morning (or at night) when the flowers are closed. The closed blossom makes the perfect vessel for stuffing. Try Pan Fried Squash Blossoms stuffed with ricotta, herbs and lemon. Most recipes call for deep-frying a stuffed, tempura batter coated flower. Always remove the stamen to prevent bitterness. 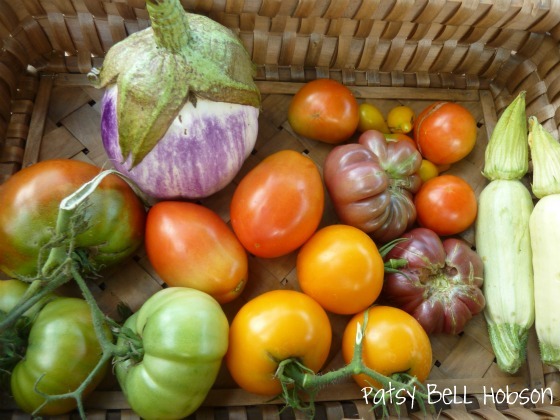 Tomatoes and zucchini are picked every day. This is the secret to keeping the zucchini crop under control. Pick zucchini every day or every other day. The small ones are tender, no need to peel. Onions are the first thing planted in the garden every year. Planting time is 4-6 weeks before the last average frost date. The garlic was planted last fall. So, onions are the first and last thing planted in my garden. Most of the onions were lifted a couple of weeks ago. I found a few more of the sweet red onions today. These few onions were planted near cabbage and carrot companion plants. The only alium remaining in the garden are leeks. I’ll just pull them up, as needed. Leeks can be harvested anytime. Red Torpedo Tropea: Sweet, red, and mild flavored. Torpedo shaped onions originally from Italy. These open pollinated torpedo shaped sweet onions have a keeping potential of about three months. This sweet onion comes from Tropea, Italy. 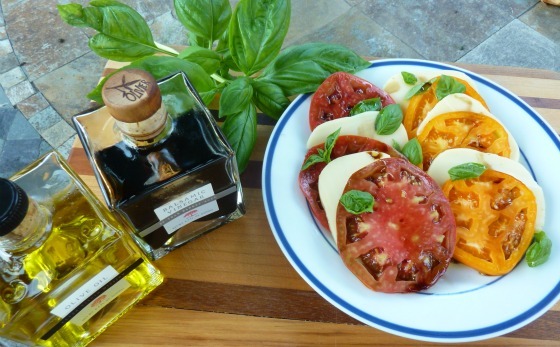 Tropea is known for exquisite cooking and locally grown red onions. In Italy, 5 or 6 onions are braided together and tied on a nail for display. Tropea don’t last long because they are so sweet. We use a lot more onions when we have plenty on hand. These are good cooked in recipes or raw in salad dishes. To stretch out the Red Torpedo Onion season, make a jar of pickled onions to keep in the fridge. Pickle these red onions in good white wine vinegar and end up with a jar of pink pickled onions. A perfect side served with sandwiches. The pink onion flavored wine vinegar is the best thing to happen to homemade salad dressings. Add it to potato salads and coleslaw as well as topping cooked greens like spinach and collards. Find pickled onion and pickled garlic recipes on my Pinterest page: canning, preserving, smoking. People are paying premium prices for squash blossoms at Farmers Markets. If you grow zucchini, (or any summer squash) you have access to one of the most popular summer food trends anywhere. Stuffed, fried squash blossoms are a gourmet delight. It also solves the problem of too many zucchini. 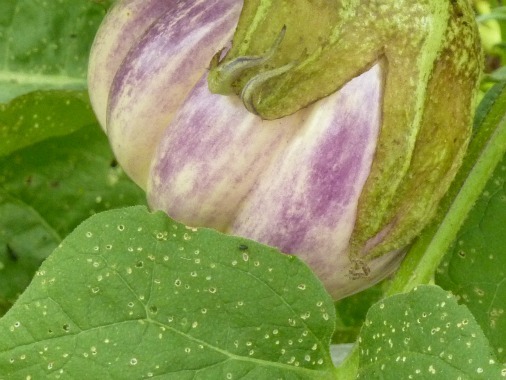 Eat those gorgeous flowers before they become a squash problem. I have a gazillion recipes for zucchini on Pinterest. My favorite is chocolate zucchini cake. I sprinkle the top of the cake with mini chocolate chips before baking. I make two cakes in 8” square foil pans. One to eat as soon as it is cooled. When the second cake is completely cooled, cover it with foil and put it in the freezer. It’s a no-frosting-needed kind of cake. Perfect for picnics, the foil pan makes it very easy to bake and take. You’ll have to try to believe it, but the zucchini pickles are great. For all the joking about squash gone wild, I honestly have never had too many zucchini. I love it and only plant what I and the neighbors will eat. Then there are the squash vine borers that will suddenly end the steady supply of zucchini. Save any extra seed by taping the packet closed or put it in a ziplock. Keep it in a cool, dry, dark place until next year. Renee’s Garden has a little bush variety that can grow in a container. They have a quick return when you order seeds. There’s still time to grow a zucchini or two. I have good news, and I have bad news. One day two zucchinis, were walking together down the road. They stepped off the curb and a speeding car came around the corner and ran one of them over. The uninjured zucchini called 911 and helped his injured friend as best he could. Zucchini Cake with Crunchy Lemon Glaze Recipe by David Lebovitz adapted from Dolce Italiano: Desserts from the Babbo Kitchen by Gina DePalma. And of course, I made some changes too. Adapting David Lebovitz’ recipe, I changed the nuts to Black Walnuts, a sustainable product grown in Cape Girardeau, Missouri USA. Replace: 1 cup (135 g) almonds, pecans, or walnuts, with ½ cup of Black Walnuts. Add: zest of 1 lemon. Stir zest into the cake batter with grated zucchini. 1 cup (140 g) powdered (confectioner’s) sugar (start with ¾ cup, add more powdered sugar if desired.) I think any fresh squeezed citrus juice and zest would be good. Fill the cooler with zucchini. Drive around till you find an unattended pickup. Put the zucchini in the truck bed. Or, if it is too heavy to lift, check to see if the passenger door is unlocked. Check to see if there is a dog in the cab. (actually do this before you open the passenger door.) Quickly leave the scene, but not so fast as to call attention to the back seat full of coolers. Or, wrap the big zucchini in swaddling clothes, leave it at the door step of a church (not yours – someone might recognize you.) or a hospital or day care. Run. Hide. You may want to stick around and watch this. This native tree is grown by Martin Walnut Tree Farm this will change your mind about Black Walnuts. These nuts are mild flavored. Not the over powering flavor of days gone by. Call 573-243-3210 (ask for Mike) . Buy very mild flavored black walnuts at the Jackson and Cape Farmers Markets-Tuesday night in Jackson and Thursday afternoon in Cape. Or buy walnuts by calling Mike at 573-450-6701. Email mike@martinwalnuttreefarm.com to have the walnuts shipped. These new black walnuts are a developing market, so these are really bargain prices. When word gets out, I am sure the price will increase. Buy some, keep them in the freezer until you are ready to use them. If you want to invest in your children’s future, Mike sells these amazing walnut trees. Posted in Herbs in the garden, Herbs in the kitchen, My Gardens, Oh Grow Up!